The Penguins head in to the bye week on a good note, with back-to-back wins including an impressive come back win over one of the hottest teams in the league. It doesn't hide the fact that the Penguins are still flawed. 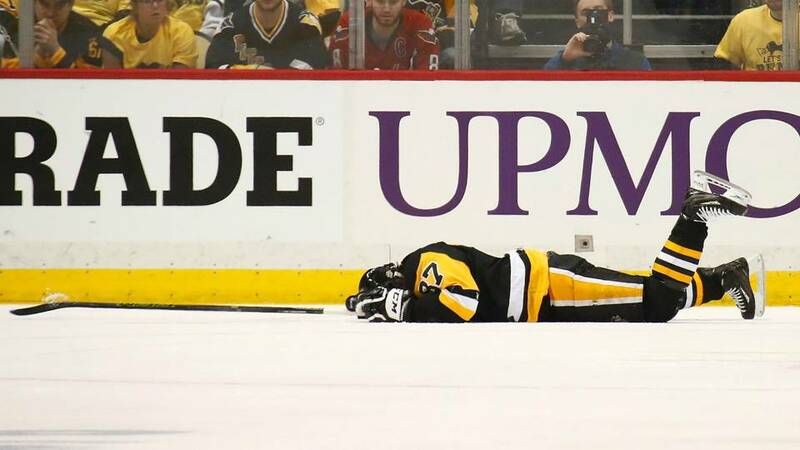 On the ice the Penguins have struggled mightily this season. Looking lifeless and listless, they've lost games they should have won, blown leads, or were just straight blown out. It's made for some early moves and with the bye week the hope of more moves to come. With just about anyone on the table for trade (save for Crosby, Malkin and Phil so help me God don't you trade Perfect Human Phil) the fans are wanting answers for the team that looks like it may miss the playoffs. Whoever is moved before or at the deadline there's one trade the Penguins won't make. 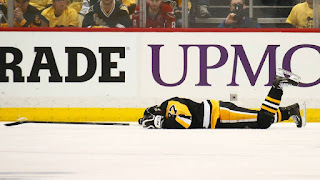 As tired as the Penguins are, as exhausted as they seem, and as much help as they need, there's zero chance any one of those players would trade back-to-back Stanley Cups. 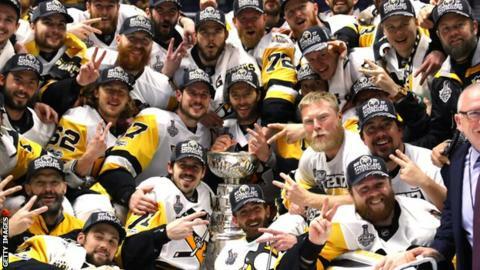 If you went up to any of them and asked them if they'd trade any one of those Cups for the playoffs this year they would laugh in your face. No matter the competitor each would choose the two rings on their fingers over not hitting the links in April as they recover from two deep runs (and for some, a World Cup as well). As a fan it can be frustrating to see this team struggle. We know their talent and ability, we've just seen them be the best in the league twice in a row. Where did that team go? However should they miss out on the playoffs this year (still not quite a worry that should be on the radar) how much can there be to complain about? You want to win every year. It's the nature of sport. You want to win every game. Yet you'll lose a good portion of all 82, no matter how good you are. You won't win every year, if at all, no matter how good you are (Washington Capitals, hello). However if the trade off of winning it all in two straight years, something so rare it hadn't been done in a time frame that saw the streak reach the age legal to buy cigarettes (and come close to drinking) is missing the playoffs for one year I'll take it. And so would every player in that locker room. 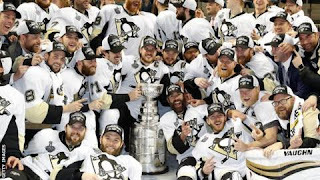 PENS SHOULD MAKE A DECENT TRADE BEFORE THE WINDOW CLOSES ON THE TEAM(HORNQUIST + FREE AGENTS)AND GO FOR A 3RD RUN AT THE CUP RATHER THAN MISSING THE OPPORTUNITY...GIVE ANOTHER TEAM A LITTLE EXTRA TO GET WHAT THEY WANT---BEFORE A REAL DECLINE STEPS IN! They are the strongest team.